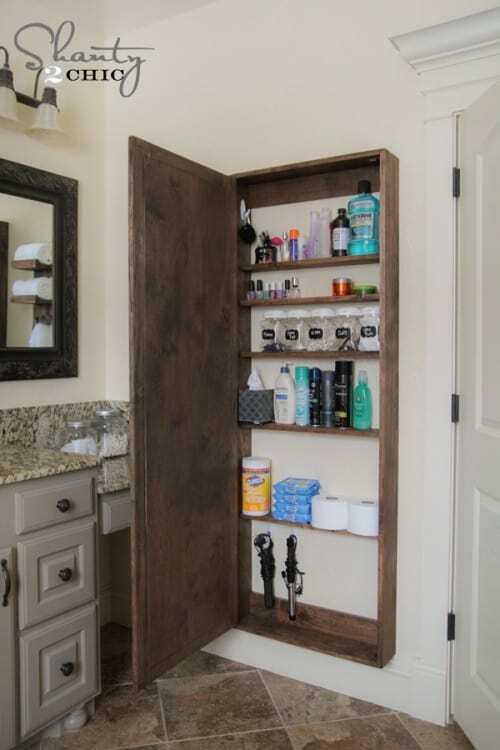 If you are looking for small bathroom storage ideas, we have several for you. You know that if you have a small bathroom without a lot of storage, how hard it is to find places to store all of your stuff. 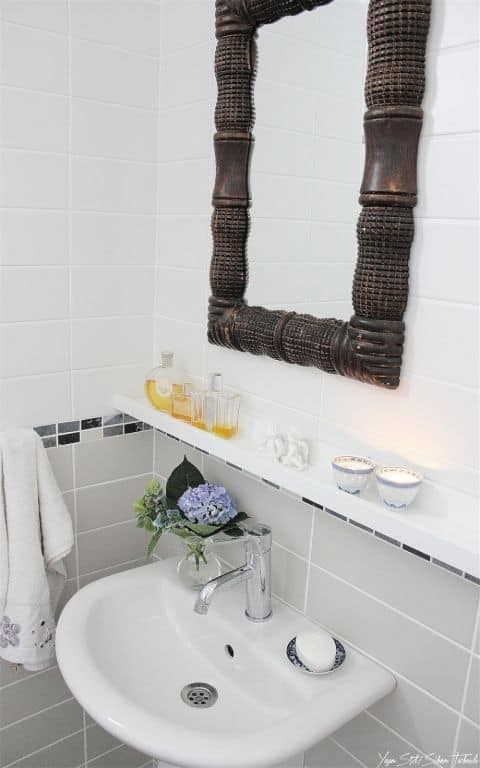 Between towels, toothbrushes and all your beauty equipment, your bathroom can quickly feel cluttered. When we moved into our ed our bathhouse, I realizroom had no storage. There wasn’t a place for the towels to be stored in the bathroom or even our toothbrushes. 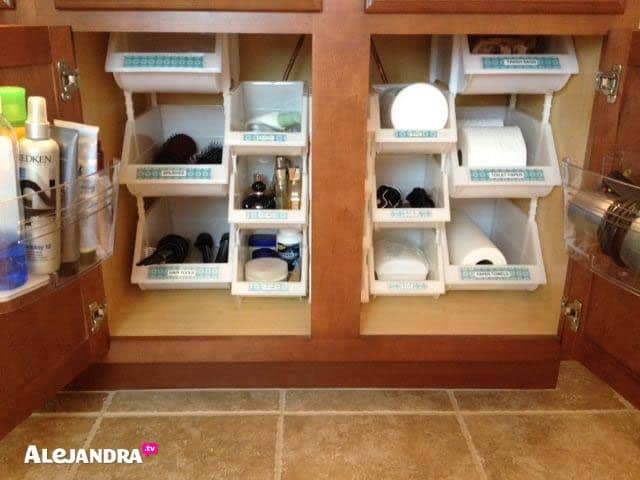 I’d always had drawers to store items in the bottom cabinet under our sink. Our sink is a pedestal sink, which leaves no storage in cabinets under it. There isn’t an easy way to add storage to our bathroom. So the hunt for adding storage to our bathroom began. I was surprised at how many ideas are out there and possible to add to our bathroom. 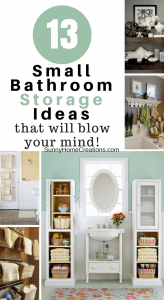 Here are some ideas on ways you can bring more storage to your small bathroom. 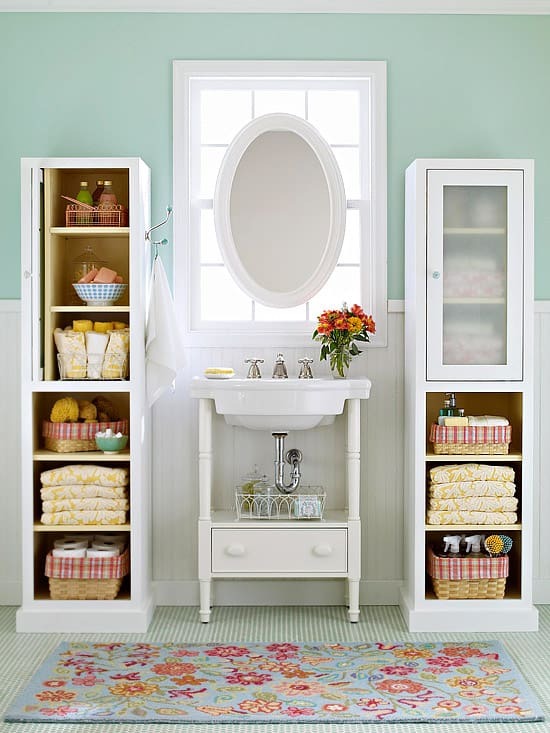 A large mirror with a small cabinet behind is a great way to drastically increase storage in a small bathroom. You should be able to store several items in this cabinet. You can find plans on how to make this at Shanty-2-Chic. I love so many of the shanty-2-chic projects so make sure to check them out, even if this cabinet isn’t something you want to build! Next, you can hang some wire baskets on the wall and store items in them. You might be surprised at how much you can fit in them. You can find this idea at A Beautiful Mess. 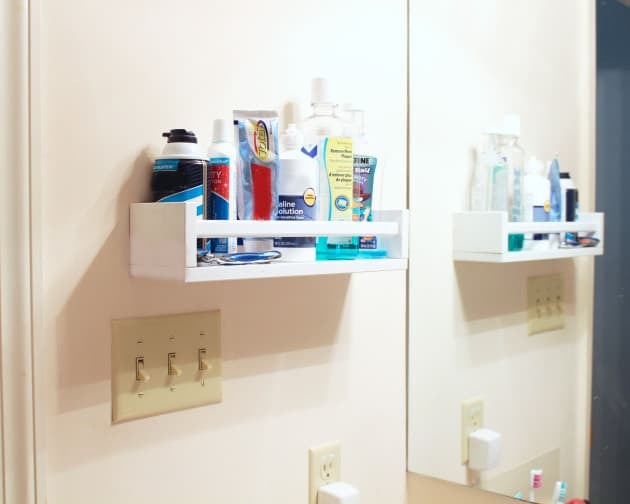 Install a shelf over the bathroom door. The things you can keep on this shelf are endless. I’ve seen people keep their towels up here as well as toiletries like extra shampoo and conditioner. 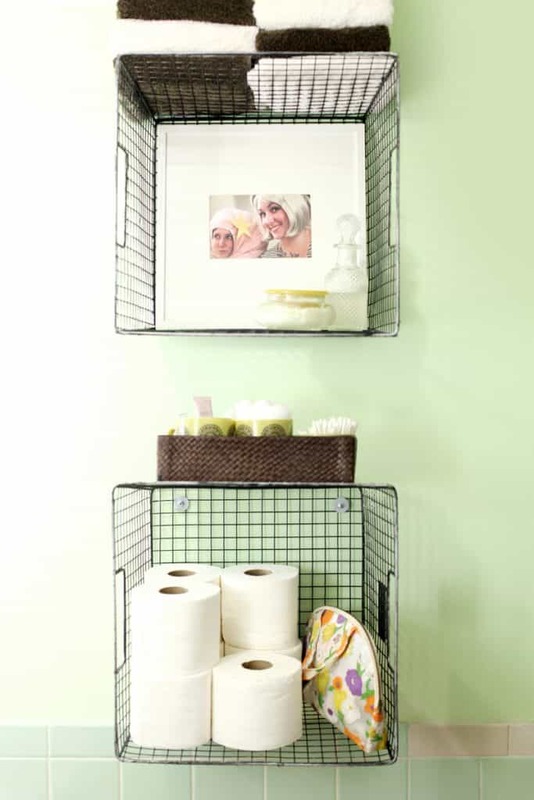 You can find information about adding a shelf above your bathroom door at Martha Stewart. I’ve seen these spice racks from Ikea used as bookshelves so many places online and in fact, we have some bookshelves in the kid’s room made from Ikea spice racks. 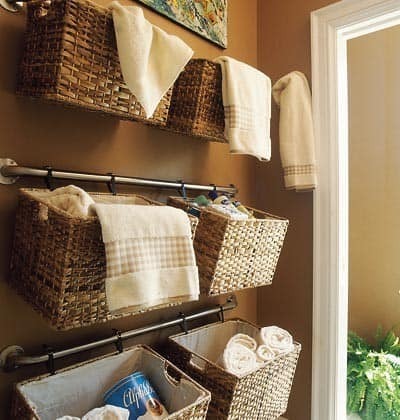 But, you can also use a spice rack as a storage shelf in the bathroom. It’s the perfect size to store all those containers you have. The spice rack was found at Landing Pad Blog. If your shower doesn’t have any storage in it, Install a shelf in your shower and get all those shampoo bottles and soap up off the ground. See how to add this shelf to your shower at Family Handy Man. 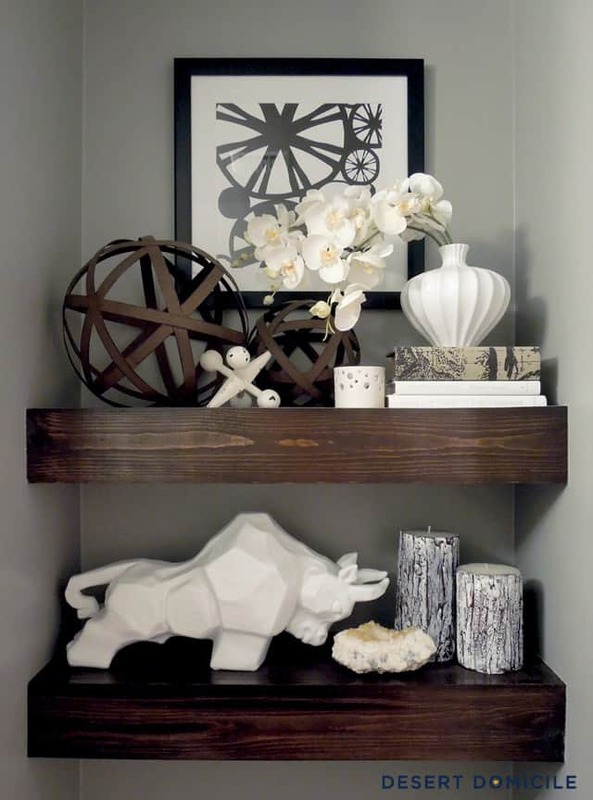 Install a picture frame shelf. This shelf is a bit more elegant than the spice rack. Find this at House Beautiful. 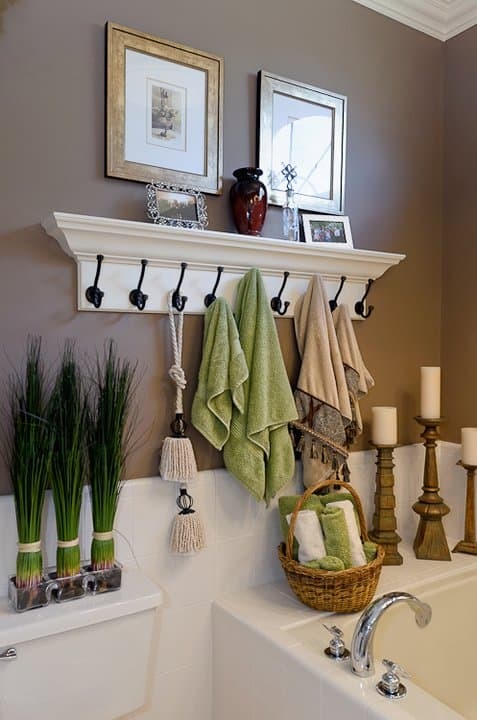 If you have room, you can add some cute shelves on each side of your bathroom sink. I Heart Organizing has the details on these shelves at her blog. Her site is fabulous! Put in some stackable organizers under the sink. You can find out the details to these stackable organizers at Alejandra. If you liked this post, I’d love for you to PIN IT!